Books to Nominate for the Cybils! Nominations are open for the 2016 Cybils Awards until October 15! I’m a judge in the Young Adult Speculative Fiction category this year, and I’ve already begun reading. First, one I’ve read and enjoyed tremendously is Love, Lies, and Spies, by Cindy Anstey. That would be for the Young Adult Fiction category. The rest of my suggestions are books in the Young Adult Speculative Fiction category. They look intriguing. I haven’t read them, but I would like to — so please give me an excuse to do so by nominating them in my category! I’m a first round Cybils judge! 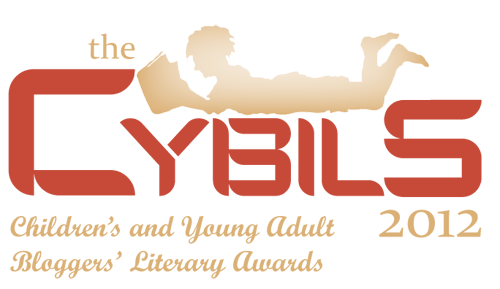 The Cybils are the Children’s and Young Adult Bloggers’ Literary Awards. This year I’m serving as a first-round panelist in the category of Young Adult Speculative Fiction. What this means is that I’m going to need to do a LOT of reading in the next three months. More than 100 books will likely get nominated in my category, and we hope to have at least two panelists read each book. All panelists will read books that are serious contenders for the shortlist. So I need to read! The bad side is that I’m going to get even further behind on posting reviews. I currently have 66 reviews written that I haven’t posted yet. So I’m going to try to get about one per day posted most days — but that will not catch me up. And Sonderling Sunday is going to be a much more rare feature. So — if my posts get a little less frequent — It’s because I’m reading! And — this coming Thursday and Friday, I’m going to hold my own personal 48-Hour Book Challenge! By something of a fluke, I have those days off. So I’m going to brush off the spreadsheets I used for Mother Reader‘s past years’ 48-Hour Book Challenges and use her rules. So — I’m going to get behind on posting reviews, but it will be worth it! And you can participate! Anyone who has read a good children’s or young adult book published between October 16, 2015 and October 15, 2016 — nominate it for a Cybils Award! Give me more great books to read! It’s January 1st, and that’s the day the Cybils Award Finalists are announced! Not everyone’s aware of the Cybils Awards — one of the best awards out there for recommending books to children and teens. Cybils stands for Children’s and Young Adult Bloggers’ Literary Awards. 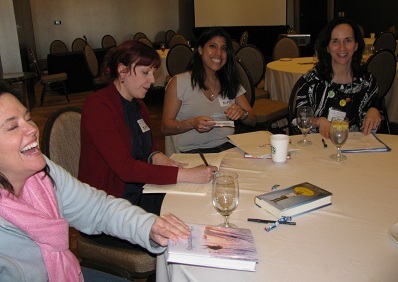 The books are judged by book bloggers (such as me!) and the process happens in two phases: On January first, Finalists are announced in eleven categories. On February 14th, one winner will be announced from each category. But I persist in thinking that the real power of the Cybils is in the lists! They’re chosen for literary quality and kid appeal. There’s some question in the Children’s Book world whether the most famous literary awards are actually books children like. Cybils judges are charged to take that into account. There are eleven categories! Something for everyone, even Book Apps! Besides that, they’ve got Fiction Picture Books, Easy Readers and Early Chapter Books, Poetry, Graphic Novels, and Non-Fiction, Fiction, and Speculative Fiction for both Elementary/Middle Grade and Young Adult. Each list is chosen to include variety and diversity. This partly comes simply from having a panel of judges, but those judges do a good job representing their category well. You’ll normally find ethnic diversity represented, but also books with male and female protagonists and simply books that appeal to a wide variety of readers. And now to take a look at the other categories! My usual category is Elementary/Middle-Grade Speculative Fiction. I haven’t read any of their choices this year, so I need to get busy reading! Another book I’ve reviewed, Ling and Ting: Twice as Silly, is an Easy Reader and Early Chapter Books Finalist. Two books I’ve reviewed are on the Elementary/Middle-Grade Non-Fiction List: I, Fly and One Plastic Bag. On the Graphic Novels list, I have almost all the books checked out, intending to read. This will increase my resolve! I have read and written a review of The Marvels, by Brian Selznick, but it’s not posted yet. From the Poetry List, Winter Bees and Other Poems of the Cold was a Sonderbooks Stand-out last year. And I don’t usually try these out, but I like that the Cybils makes me aware of good ones: Book Apps. Now if you want some great ideas of things to read in the New Year, you know where to look! We never do find out why the Luck Uglies are called the Luck Uglies. But they are not monsters. They are mask-wearing outlaws who have been banned from Village Drowning by the Earl. Rye and her friends Folly and Quinn live in Village Drowning and begin the story by accidentally stealing a book and running over the rooftops to escape pursuit. The Earl who oversaw the affairs of Drowning had not only banned women and girls from reading, but went so far as to outlaw certain books altogether. None was more illicit than the book Rye now pressed close to her body, Tam’s Tome of Drowning Mouth Fibs, Volume II — an obscure history textbook that was widely ignored until the Earl described it as a vile collection of scandalous accusations, dangerous untruths, and outright lies. Even an eleven-year-old could figure out that meant there must be some serious truth to it. There are, in fact, monsters in this book — the terrifying Bog Noblins who live outside Village Drowning in the forest Beyond the Shale. Rye herself has a close encounter with one. But someone rescues her. When she wakes up in her home, she’s worried about the village. “But what about the rest of the village?” she said. Rye and her friends end up in the thick of danger from monsters, in a village with corrupt leadership. They need the Luck Uglies, but can the Luck Uglies outwit the Earl’s army? It turns out they will need Rye’s help. 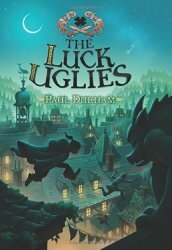 This book does have monsters, but it comes across as a gentle fantasy adventure in the style of Robin Hood. With girls in the thick of the action. Source: This review is based on a library book from Loudoun County Public Library. Tundra Books, 2014. 318 pages. I don’t think of myself as liking ghost stories, but this didn’t feel like a typical ghost story to me. This is a cozy friendship story and a girl-in-a-big-family-finding-a-friend story. Sections in this book alternate between the voices of Polly and Rose. Their houses are next door to one another, and it turns out that their attics adjoin. The houses overlook the cemetery. Rose has always been able to see ghosts, and she hates it. Polly has always wanted to see a ghost, and she isn’t sure that Rose isn’t one herself. She’s so pale and otherworldly. I’ve always wanted to see a ghost. More than anything. I keep watch at my window for hours, I go for walks in the cemetery almost every day after school and I read all the ghost books I can find at the Parliament Street Library. I never want to see a ghost again. I’m sick of it. Ladies all in white who follow me down the street, sad men in suits who sit at the back of the bus, children in nightgowns floating out hospital windows – I wish they would all disappear. Rose hasn’t seen any ghosts, for some reason, since her hospital stay a few months ago. But then, when she hears Polly through the wall of her attic, she thinks they’re back. Polly, after hearing Rose’s voice, thinks she’s finally met a ghost. I felt sick to my stomach. I was not used to invisible ghosts. And I certainly was not used to ghosts that talked so much. Especially out loud. My heart sank. I hadn’t seen one ghost since I’d got home from the hospital, and I had really hoped they were gone forever. And now here was a ghost, right in my attic, in my own special nest. Where one came, the rest would follow, and I just knew I’d go stark raving mad if I couldn’t keep them away from me. “For someone who says they’re not a ghost, you seem to know an awful lot about them,” said the ghost. I opened my mouth but no words came out. This was the most infuriating ghost I had ever met. It felt good to lose my temper. I made a lot of noise, but the ghost didn’t seem at all put out. “Wait. Where did you say you live?” she asked calmly. “43 CEMETERY LANE!” I repeated. “Hit the wall again,” suggested the ghost. “Umm . . . Ghost?” she said. “Ummm . . . Rose?” she said. “Yes,” replied the ghost. “I guess you’re not a ghost after all.” She sounded disappointed. “Who says we’re dreadful?” asked the girl. The girls agree to meet in the cemetery – and then find a grave with Rose’s name on it. Rose is convinced she’s not a ghost, but who is Winnifred Rose McPherson, who died at twelve years old, 40 years earlier? The girls build a friendship. They research this other ghost. And then they find a way to go secretly into each other’s attics. 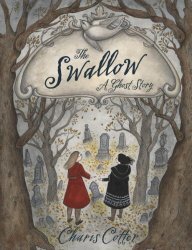 But Rose’s home does have a ghost – and she’s angry, and doesn’t seem to want Polly to go into her attic. This book is indeed a ghost story – but it’s also a friendship story, and a story that warmed my heart, despite the ghostly chill. Source: This review is based on a book sent to me by the publisher to evaluate for the Cybils Awards. I served on a Round One Panel for Middle Grade Fantasy and Science Fiction, and I have to say that I was very happy about the winner the Round Two Judges picked: The False Prince, by Jennifer Nielsen. There you have it! It was a good year for books for children and young adults! And trust me, the other Finalists and Winners are going straight onto my TBR lists. I have to say about the Cybils, those lists are a wonderful place to look for Readers’ Advisory, since they have quality books with kid appeal in so many different categories. 2012 was an exciting reading year for me. It started off in January when I got to attend the Invitational William Morris Seminar in Dallas at the ALA Midwinter Meeting. At the seminar, we learned from experienced members of ALSC’s book evaluation committees. They trained us how to look at books from an award committee’s perspective. Of course, that experience made me want nothing more than to be part of a book evaluation committee. In March, I decided to join Capitol Choices, a DC-area group of children’s book lovers who choose a hundred outstanding children’s books each year. They meet monthly, and I learned so much from being part of this group — and was made aware of so many outstanding books published this year. But the culmination of all this was getting to be on the Cybils Panel for Middle Grade Science Fiction and Fantasy. I can’t begin to express how much I enjoyed this. Yes, it did take all my free time for the past three months. Yes, it was worth it. And today all the shortlists are announced! Our list was hammered out with a whole lot of give and take. This is not the list I would have chosen on my own, but I think that makes it all the stronger, and gives it more broad appeal. Glancing at the other shortlists, the thing that tickled me most was that the Easy Readers panel chose both Penny and Her Song and Penny and Her Doll. Yes! And I encourage librarians and parents to use the Cybils shortlists as lists. In our panel, we strove for a certain amount of variety. In the first place, many different types of books are represented. But then each list gives you a nice variety of the best books published last year in that particular category. And the winners? Those will be announced on Valentine’s Day. But what list would I have chosen myself? I’m glad you asked! Because on January 1st, I also announce my 2012 Sonderbooks Stand-outs! You’ll see there’s a lot of overlap between the Cybils shortlist and my own Children’s Fiction: Science Fiction and Fantasy list and also my Teen Fiction list. (Titles that appeal to tweens are hard to place. If they have teen protagonists, I tend to put them in Teen Fiction, but some of those were placed in our Middle Grade group.) Of course this should come as no surprise. But my Sonderbooks Stand-outs are carefully chosen with no criteria at all. I don’t consider literary merit or artistic value or child appeal. I simply remember back over the year and tell about which ones brought me the most enjoyment. These are my favorites, the books I loved most out of all the books I read this year. All this practice on award committees was fun, but I do find it refreshing to list the books I enjoyed without having to defend my choices. I loved these, okay? My son asked what my very favorite book of the year was, and I have to go with Code Name Verity, my Teen Fiction #1 book. Grand Total: 280 books. Not bad…. First, I will alternate between books for Capitol Choices and other books. Mind you, this doesn’t count nonfiction or picture books. What can I say? I’m a list-maker and I love organizing my reading this way. I’ve already finished my first book in 2013, a Capitol Choices nominee, Jepp, Who Defied the Stars, by Katherine Marsh, and next I plan to reread The Girl of Fire and Thorns, by Rae Carson, in order to get ready to read the sequel…. Onward! Get in your Cybils Nominations! It’s time for Cybils nominations! The Cybils are children’s book awards given by Kidlit Bloggers. They have a wonderful breadth of categories, and anyone can nominate one item in each category. Nominations are open until October 15. This year’s awards go to anything published in the last year, October 16, 2011 to October 15, 2012. I confess that I wasn’t ready with my list this morning, so this year I think I’ll wait a little while and then see if anything’s missing from the books I want to be considered. If you want to nominate your very favorites, it helps to get up early! But if any of my favorites slip through the cracks, I’ll give a try to nominating them before October 15. And I need to start reading like crazy! This year I’m a Round One Panelist in the category of Middle Grade Science Fiction and Fantasy. I’m so looking forward to being forced to read my favorite kind of books. We’ll see if I can handle it! You are currently browsing the archives for the Cybils category.